This Bulls Head is 3500 years old! 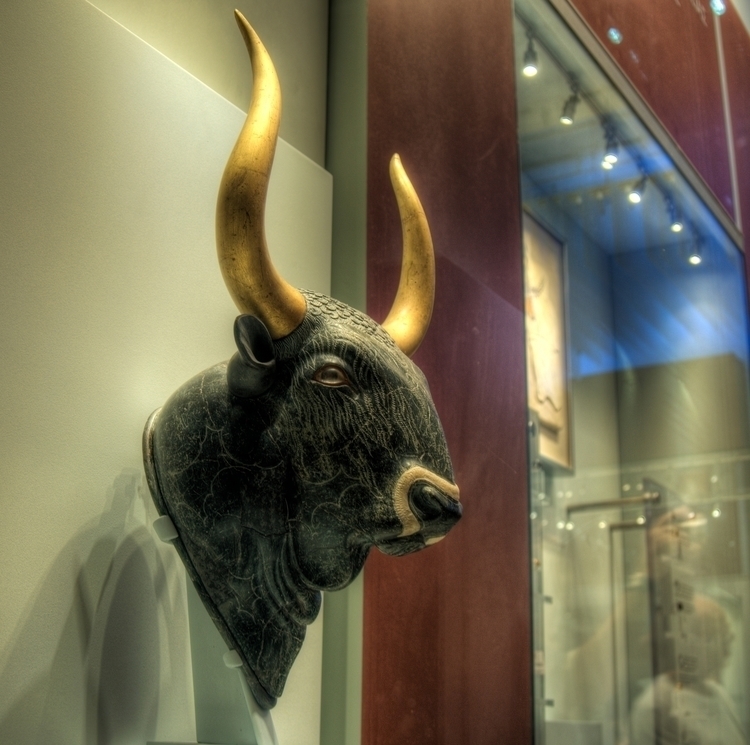 It is the "Bull's Head Rython" in the museum in Crete. A Rython is a ritual jug, and liquid would have been poured from the mouth of the bull. This is such an AMAZING work of art that has come down to us from the Bronze Age. The detail is amazing! Remember the mother of King Minos was carried to Crete on the back of Zeus, disguised as a bull. and the bull-headed monster, the "Minotaur" lived in the labyrinth in Knosos in Crete.